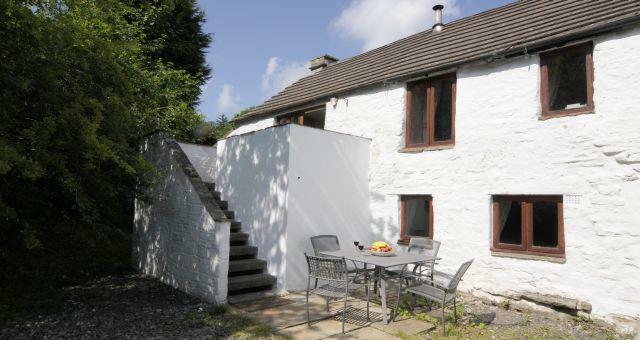 Ghyll Burn Cottage01434 381372 /381428work01434 381372fax Self-cateringThis cosy cottage has been renovated to a high standard yet retains it's old world charm with wooden beams and an old stairway turret with a slit window. Converted from original buildings dating back to a time when the people lived upstairs and the animals in byres underneath. It nestles in a secluded valley within a specialist Alpine plant nursery, just over a mile from Alston. It is an ideal base for walking, cycling, and touring, watching wildlife or just relaxing. The Pennine way footpath and C2C cycle route pass nearby. Roe deer may wander by, the red squirrel may be seen in the tall trees or on the nut feeder as well as many species of birds nesting and visiting. Entrance steps lead to a kitchen, diner and a large lounge with wood-burning stove. Downstairs are a double room ( with King size bed), a twin bedded room and bathroom with WC, wash basin and bath with over-bath shower. In the lounge a sofa bed makes a further double bed and there is a WC and wash basin on this level. 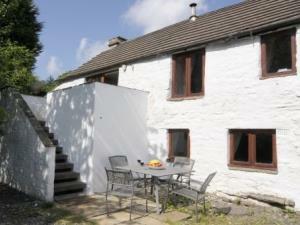 Ghyll Burn Cottage limits bookings to 3 or more days. Double and twin bedroom and bathroom on ground floor, lounge, kitchen/diner on the first floor. Sofa bed sleeps 2. Cot and high chair available. unit 1 limits bookings to 3 or more days. A cot and high chair are available on request. Oil-fired central heating and electricity are included in the tariff.